A powerful new exhibit is launching in New York this December: Black Brazilian Women: Presence and Power. Organized by a SUNY-New Paltz master’s student, Sandra Coleman, the exhibit tells stories of 49 black Brazilian women from different states and universities who, like Coleman, struggled and succeeded against the odds. Coleman’s exhibit focuses specifically on the academic and intellectual achievements of the women, in an attempt to challenge the hypersexualized depiction of black Brazilian women. 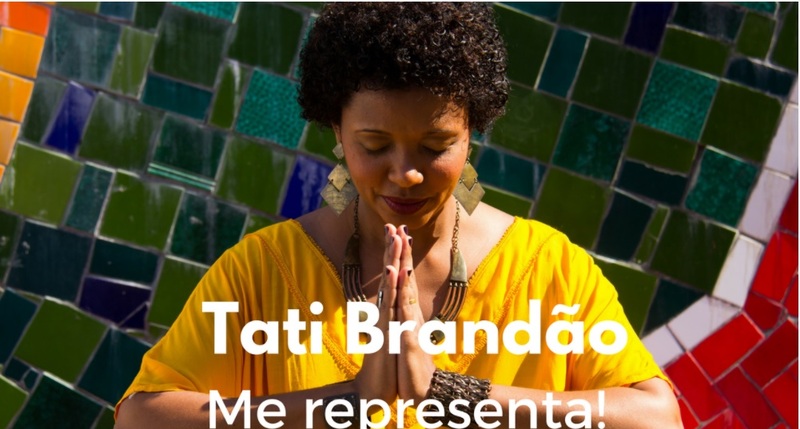 One of the women featured in the exhibit is Tatiana (Tati) Brandão, 38, from Praça Seca, in Rio de Janeiro’s West Zone. 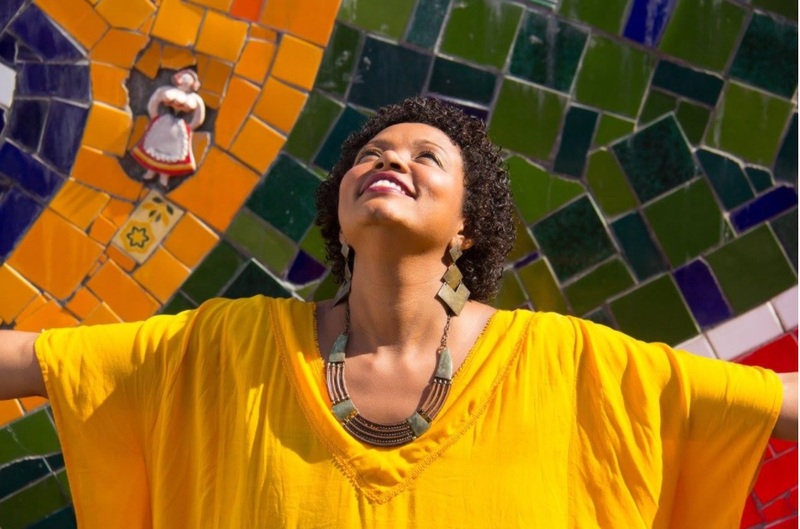 Brandão is a mother of two, entrepreneur, social educator and volunteer coach with the Rio de Janeiro Women’s Cooperative Network at ASPLANDE (Support and Planning for Development) and with the NGO EDUCAFRO (Education and Citizenship for Afro-Brazilian and At-Risk Populations). When the 38-year-old entrepreneur found out she was selected for the exhibit, she quickly launched a crowdfunding campaign in the hopes that she might raise enough money to be able to travel to New York to see the exhibit and attend the opening ceremony in person. So far, she has raised R$1,500 (US$500) from the campaign and other sources to cover visa and passport fees, but is still short R$6,000 (US$2,000) for transportation costs. RioOnWatch spoke with Brandão over email about the significance of the exhibit, the inspiration behind her own work, and the influences that shaped her presence and power. RioOnWatch: First, what does it mean for you to have been selected for this international project? Brandão: It’s about representing many black women, the women who preceded me and the ones I am preceding. It also means showing that we women can be whoever we want to be. RioOnWatch: Speaking of presence and power, besides being a mother of two, you are an entrepreneur, a social educator and a volunteer life coach. What first inspired you to do this kind of work? Brandão: I was talking about this on the phone to a friend today… My reflection is that in my case, it’s a family lifestyle. I grew up watching my mother often turn off the stove, when food was already cooking, to give attention to the neighbors who were asking for some kind of help and who needed to vent… This is the way it is in her house still today. My father gave attention and was committed to the sick and the elderly. My aunt Rosa, who has already passed away, took care of the family. I volunteered in an asylum as a teenager. Before I had children I participated in a group that distributed food to the homeless. RioOnWatch: You come from Praça Seca in the West Zone. Can you tell us a little bit about your community and how it influenced you? Brandão: I am from two communities, actually. Currently, I’ve been in Praça Seca for ten years. I have a lot of affection for this community, where I have gained many wonderful friends and neighbors who have always helped me in important moments of my life and in those of my children. My children were born here in the West Zone. My other root is in Belford Roxo in the community of Vale do Ipê, where I spent my childhood and adolescence and where I will also spend a new stage of my life. Because I’m going back there. 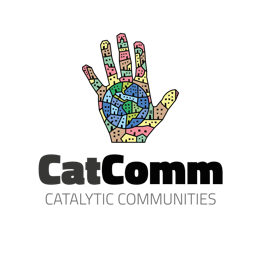 This community is very significant in my life because it gave shape and an active contribution to my critical, political, social, spiritual, and human development. I continue to have many childhood and school friends there. RioOnWatch: You work as a volunteer coach with EDUCAFRO, a program that promotes the inclusion of black and low-income Brazilians in universities. What is the significance of this EDUCAFRO course to you? Brandão: The significance is very positive, in the actions (of my students) that stem from reflections (which I stimulate in them) that lead to self-knowledge, and automatically cause profound transformations in the participants’ minds! My work is immediately rewarding, in the deep and moved perspective of a student who has come to understand themselves, and who has decided to surpass themselves, to ask for forgiveness, ask for help, leave their comfort zone, face life and go beyond! It is wonderful to know that in a short period of time, in a structured way, with deep respect for the human being and their essence, I can help make people self-aware in a light and relaxed way, positioning them as the protagonists, which they are, of their own lives. It seems redundant to say so, but many people were educated to transfer and outsource responsibility for their actions and attitudes. There is a whole historical process of oppression, prejudice and racism behind this. The impact as a social educator is strong, deep, and of constant self-learning, because I work with the essence of each human being. I always ask at the end of all my activities for feedback on how the learning experience went and how I did as a professional. This integration and feedback keep me aware of the progress and flow of work. RioOnWatch: Patrícia Rodrigues, one of the other guests of the exhibition, says that education acts as an agent of transformation. In what way was education an agent of transformation in your life? Brandão: I consider education to be an agent of information, training, and transformation from my birth to the present moment and continuing on forever. One of my struggles is to help young people understand this. Education is all of our responsibility: society, family, school, media, etc. We are in the age of self-learning, self-empowerment, self-employability, and all this begins with the perception of what education is. We are multi-dimensional human beings and education should be that way too, contemplating the whole human essence in a holistic way. Education today—more than an agent to transform—is the path through which humankind can transcend! RioOnWatch: Thinking about the Black Lives Matter movement and about Vidas Negras Importam—the corresponding movement in Brazil—what is the importance of creating ties of solidarity between black women in Brazil and black women in the United States? Do you think this exhibition can help develop such solidarity? Brandão: The importance of developing this solidarity is urgent to Brazil, the United States, and across the world! One of the aims of the exhibition is to change the vulgar, misguided, and sexist way Brazilian black women are promoted, advertised, and translated in their actions and activities, nationally and mainly internationally. There is no respect! Black Lives Matter, yes. And Black Female Lives Matter as much as men’s. The exhibition has already been contributing to this understanding since it was first conceived, because it is generating a healthy discussion and leading people to reflect on these issues. RioOnWatch: On your crowdfunding website, you commit to sharing your experiences with groups of women and students around you, to ‘continue the chain of good.’ Why do you feel this responsibility? What do you hope will come from sharing these experiences? 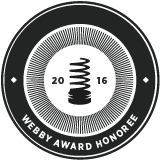 I intend to share all the learning from the process I am experiencing. What other women need to do and how so they can also go wherever they decide and want to go. RioOnWatch: What are you most excited about for this New York experience? Brandão: At the moment I’m only thinking about being able to go! And meeting Sandra Coleman, the organizer of the event, in person to congratulate her for her courage and creativity! I’m a person who learns from everything, from the journey to the destination. RioOnWatch: You got a lot of support through your crowdfunding campaign. Is there anything you’d like to say to all those who have contributed or who will contribute? Brandão: I received significant support that contributed to getting my passport and visa. I got free accommodation and winter clothes that people are lending me. I am just missing the air ticket and transport costs. I intend to go on December 4 and return on the 8th. Brandão: Thank you immensely to all those who collaborated and are collaborating to achieve this dream. Without them I would not have come this far. 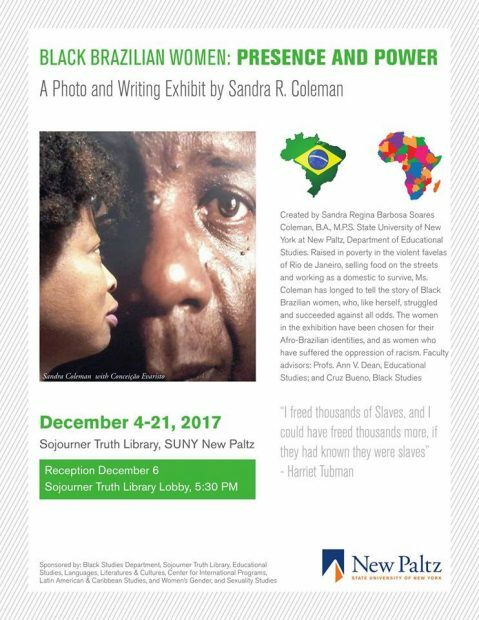 The exhibit is running December 4-21 at the Sojourner Truth Library on the SUNY-Paltz campus, with a special opening December 6 from 5:30-8:30pm. For more information on the exhibit, click here and see the Facebook event. This article was written by Sarah Cronin, and published on November 30, 2017.